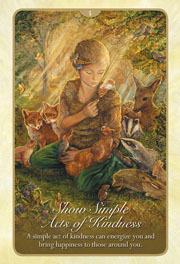 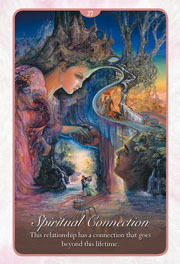 WHISPERS OF LOVE ORACLE CARDS were created to help you find methods and messages for building stronger more loving relationships whilst, also, reminding you of the interconnectedness of everything in your life. 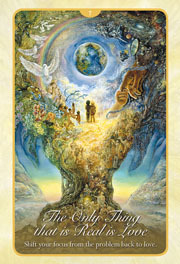 Whether it be a romantic connection or your connection to others around you, these beautifully illustrated cards will help you find answers and solutions. 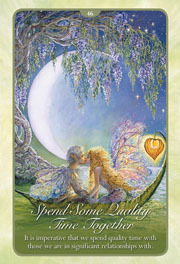 You can choose cards for everyday guidance or you can do readings focusing on a specific question or relationship. 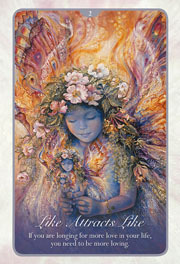 However you use these cards, they will be an invaluable tool to add clarity to your situation by connecting you with your inner guidance and intuition.